The Vector 3 and Micron from UPT are the most comprehensive, most feature rich and best-selling containers on the market. With a wide range of options to suit every user and every budget, we’ll make sure that your container is truly tailored to you. Built in our ISO: 9001 certified factory, we ensure the highest quality of craftsmanship combined with the latest advancements in skydiving technology.When you jump your Vector 3, you can do so knowing that you’re jumping the very best. 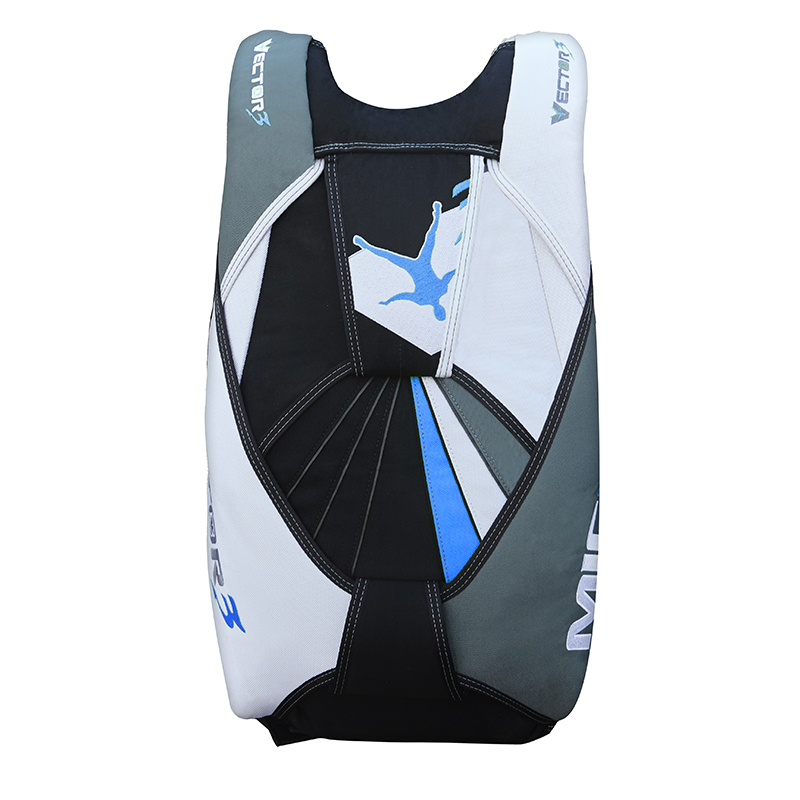 STANDARD FEATURESYour brand new Vector 3 comes loaded with lots of great features, including: Standard Deluxe Backpad, Magnetic Riser Covers, one or two piece Leg Pads, standard or low profile metal D Handle with a Spectra ripcord, soft Cutaway Handle, plastic deployment handle and your choice of colors. Want to make it a bit more special? Check out our most popular options. We are totally committed to you, our customer, through the quality and performance in the harness and container systems we design, build and deliver.